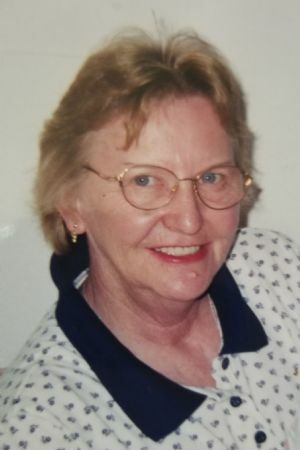 Ina R. Wettstein, age 77, of Eureka, WI passed away on Tuesday, November 13, 2018 at Azura Memory Care in Oshkosh, WI. Ina was born on June 14, 1941 in Neenah, WI, the daughter of Frederick and Sylvia (Richards) Schiebler. She graduated from Neenah High School and on October 7, 1963 she married Don Wettstein at St. Gabriel in Neenah. Early in life Ina was a legal secretary for Kimberly Clark in Neenah and also for a short time in Chicago. Later she worked for many years as a personnel assistant at Alliance Laundry Systems in Ripon, WI. She loved traveling to Arizona with Don, and they also enjoyed snowmobiling together at their cabin up north. Ina is survived by her loving husband, Don Wettstein of Eureka, WI; two sons, Douglas (Leann) Wettstein of Oakfield, WI and Gary Wettstein of Phoenix, AZ; four grandchildren, Ben, Alex, Paige, and Hailey; one great-granddaughter, Karsyn; an aunt, Gloria Pozorski; and a cousin, Bob Pozorski. She was preceded in death by her parents, Fred and Sylvia Schiebler; and a sister. Visitation for Ina will be held from 9:00 am until 11:00 am on Wednesday, November 21, 2018 at Butzin-Marchant Funeral Home, 515 Mayparty Dr., Ripon, WI, 54971. A memorial service for Ina will be held at 11:00 am on Wednesday, November 21, 2018 at Butzin-Marchant Funeral Home, with Chaplain Matthew Cornelius officiating. Inurnment will take place in Eureka Cemetery, Town of Rushford, WI, at a later date. Memorials may be directed to Alzheimer�s Association, 620 South 76th St., Milwaukee, WI 53214. Ina's family would like to extend a heartfelt thank you to Brooke, Matthew, and the entire staff of Compassus Hospice of Green Bay and also everyone at Azura of Oshkosh for their wonderful care of Ina.